Serbia can only qualify without needing help from elsewhere if they beat Brazil, but if they draw, they will need already ousted Costa Rica to do them huge favours by beating Switzerland by more than one goal for them to stand a chance of qualifying, it’s not impossible, Peru beat Australia against the odds. Brazil have failed to live up to the hype built around them by fans and neutrals, a part of them must shrink a bit last night when Marcos Rojo blasted home to hand Argentina another few days in Russia, they would have wanted their arch-rivals to crash out and get one over them; Brazil are in strong positions to advance, the late goals that gave them maximum points against Costa Rica mean they only need one point here but would they want to finish second? It’s a bit dicey here, Germany are best expected to finish second in group F behind Mexico and could face Brazil in a repeat of last Mundial's semi-final clash in Rio. 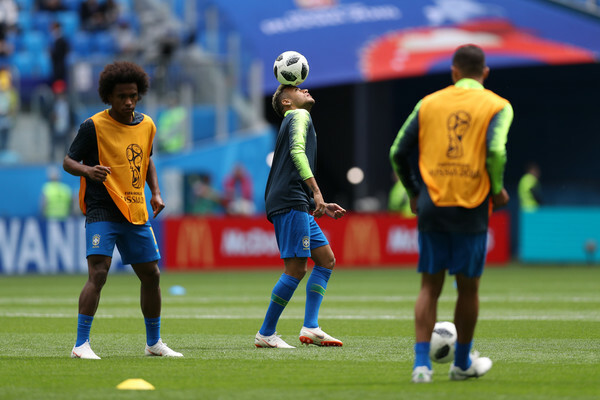 All eyes had been on Neymar before the world cup, but it is Barcelona playmaker, Philippe Coutinho that has been shouldering the Brazilian team with stellar performances and beautiful goals to match. Give or take, Brazil would look to qualify, but are they afraid of Germany? Serbia wouldn’t mind advancing to meet anyone, they are not in the position to pick opponents, and they will trouble the Brazilians.